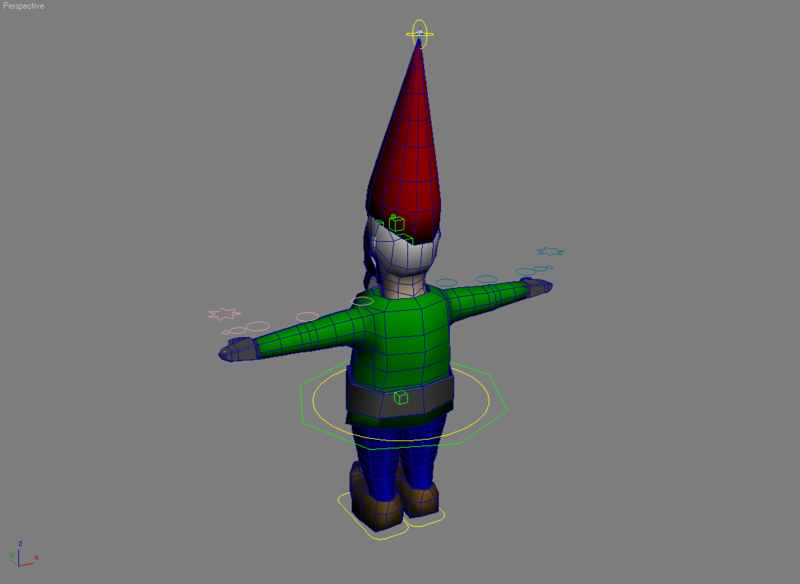 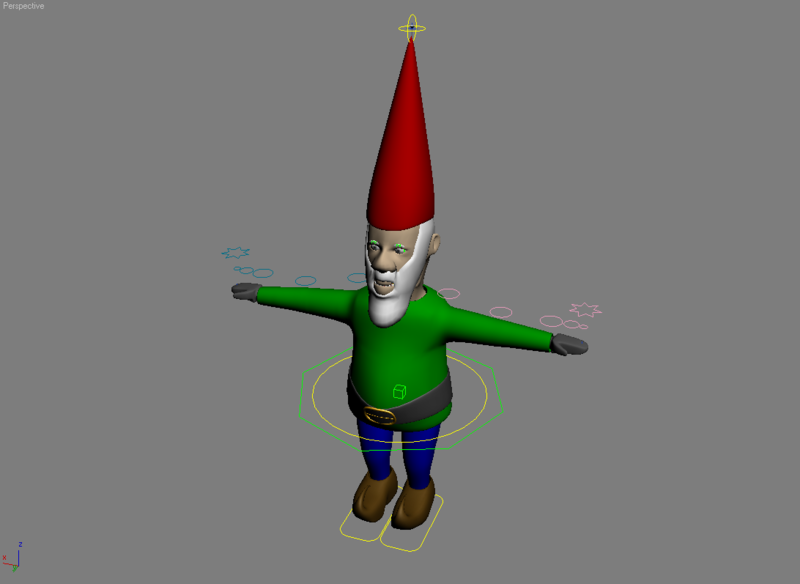 Modeled and rigged in 3dsMax, this gnome character was done for a class project. 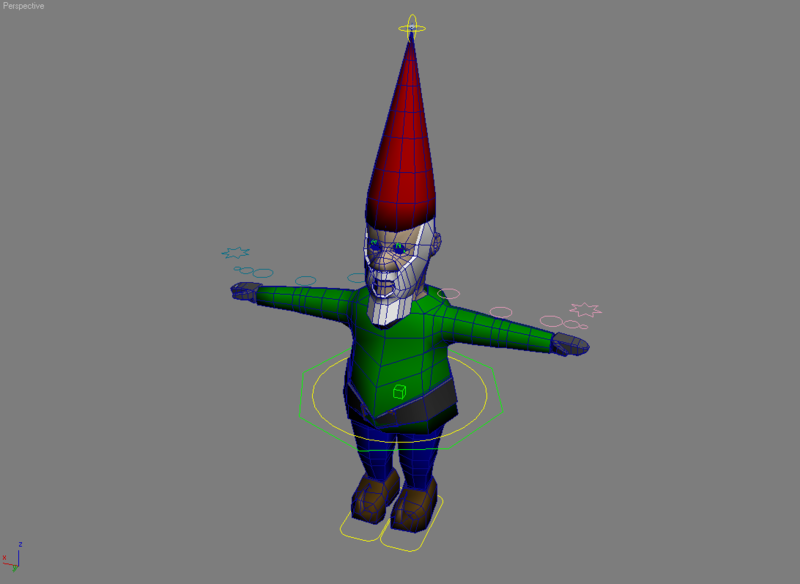 It is not textured. 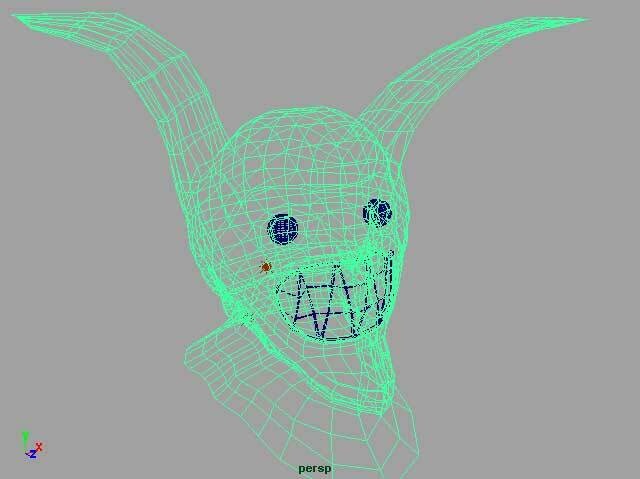 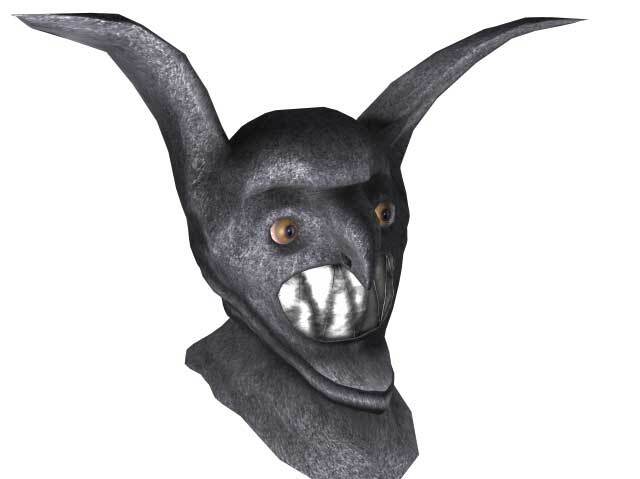 A demon-style head modeled in Maya. 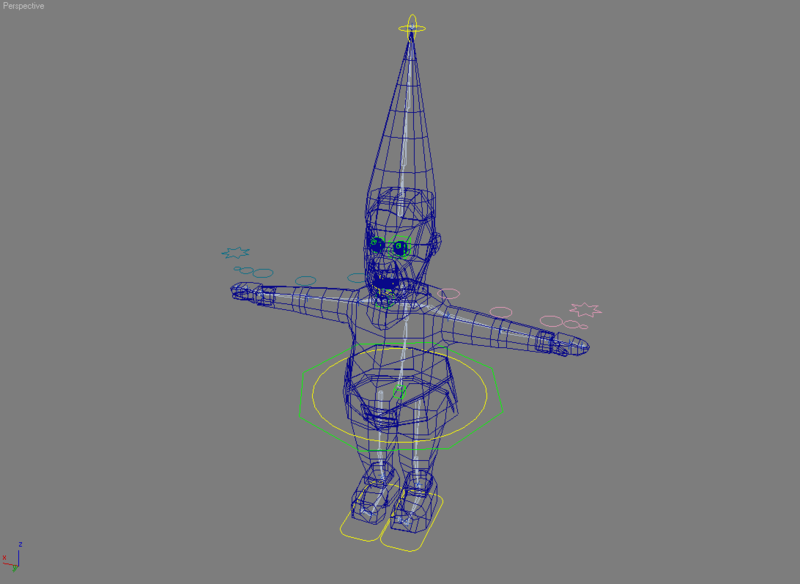 Source drawing, wireframe, and solid.